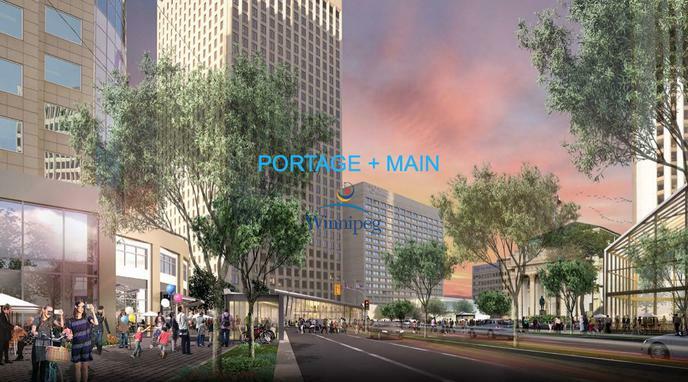 Should Portage and Main be open to pedestrians? The city of Winnipeg should open Portage and Main to pedestrians. Opening to pedestrians would send an important message about walking in Canada. It will be faster for people in wheelchairs. It will be faster for people with strollers. Allowing foot traffic will make the area less scary at night. More foot traffic will help businesses in the area. There are already other options for pedestrians nearby. This will require more buses to keep level of service without other changes.